Digital manufacturing company, Proto Labs, Inc. (NYSE:PRLB) , was named Manufacturer of the Year, Small Enterprise, at the 2015 Manufacturing Leadership Awards ceremony held recently in Carlsbad, Calif. The 11th-annual event-produced by corporate growth consulting firm Frost & Sullivan and its Manufacturing Leadership Council-celebrates industry leaders and companies that are pushing global manufacturing forward. 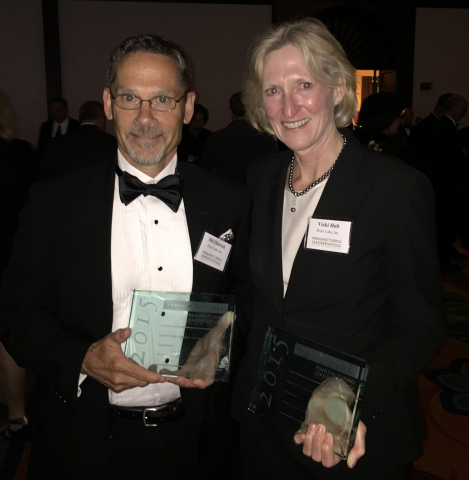 Alongside Proto Labs, Dow Chemical received top honors as Manufacturer of the Year, Large Enterprise; Bristol-Myers Squibb, Lockheed Martin Aeronautics, General Electric and The Campbell Soup Company were among other notable award winners. Large and Small Enterprise categories for Manufacturer of the Year were determined by companies with annual revenues of over and under $1 billion, respectively. Proto Labs’ Cool Idea! Award program, which provides gratis prototyping and low-volume production services to entrepreneurs bringing inventive products to market, was also recognized for Innovation Process Leadership during the ceremony on June 4. “The award is further validation that our automated approach to Internet-based modern manufacturing-one that blends high-tech software with high-speed equipment-is positively impacting our advancing industry,” explains Rob Bodor, Proto Labs’ Vice President and General Manager of the Americas. A complete list of winners can be found on Frost & Sullivan’s Manufacturing Leadership Awards page at http://mlawards.gilcommunity.com/winners/2015-winners. Proto Labs is the world’s fastest digital manufacturing source for custom prototypes and low-volume production parts. The technology-enabled company uses advanced 3D printing, CNC machining and injection molding technologies to produce parts within days. The result is an unprecedented speed-to-market value for product designers and engineers worldwide. Visit protolabs.com for more information. The Manufacturing Leadership Awards, now in their 11th year, honor manufacturing companies and individual manufacturing leaders that are shaping the future of global manufacturing. Winning projects and individual manufacturing leaders have demonstrated achievement in one of a range of categories, and are chosen by a panel of expert judges for results that enabled the manufacturers to set themselves apart from their competitors and that have delivered clear and compelling value, return on investment, and other tangible outcomes. Frost & Sullivan, the Growth Partnership Company, works in collaboration with clients to leverage visionary innovation that addresses the global challenges and related growth opportunities that will make or break today’s market participants. For more than 50 years, the company has been developing growth strategies for the global 1000, emerging businesses, the public sector and the investment community. Learn more about Frost & Sullivan at www.frost.com.